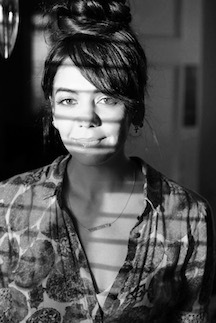 Jennifer Tiexiera is a documentary filmmaker. She is currently directing P.S. Burn this Letter Please– a film that begins with the impossible discovery of a box of letters that date back to the early 1950’s and reveal an untold and secret history of New York’s LGBT community. She most recently completed writing and editing 17 Blocks– a documentary spanning over 20 years as it intimately follows the lives of a Washington DC family deeply affected by gun violence. 17 Blocks will make it’s debut at this year’s 2019 TriBeCa Film Festival. Last year, she produced and edited VR documentaries, ZIKR: A Sufi Revival and The Day the World Changed, official selections of the 2018 Sundance Film Festival and 2018 TriBeCa Film Festival respectively. In 2017, she both produced and edited the documentaries, A Suitable Girl, winner of the Albert Maysles Award at the TriBeCa Film Festival and Waiting for Hassana, official selection of the Sundance, SXSW, and Toronto Film Festivals. She edited The Last Goodbye which made it’s debut at the 2017 TriBeCa Film Festival, internationally at the 2017 Venice International Film Festival, and won the 2018 Lumiere Award for Best VR Documentary. Her previous work also includes the documentary, Salam Neighbor, narrative film, Road to Paloma and the 2011 SXSW Documentary Grand Jury Winner, Dragonslayer. Some of her television credits include documentaries, Oprah Builds a Network and Biggie : The Notorious Life of B.I.G., the Emmy-nominated ESPN film, The Marinovich Project, and short film Woinshet, directed by Marisa Tomei and Lisa Leone for PBS.